Mission: To create a new communication campaign for business to business interactions. To develop the image and content of salesmaterial, conferences, meetings and events. To consult representatives within brand experiences and incentives. Solution: We produced high image visuals and updated print, expo and display products. 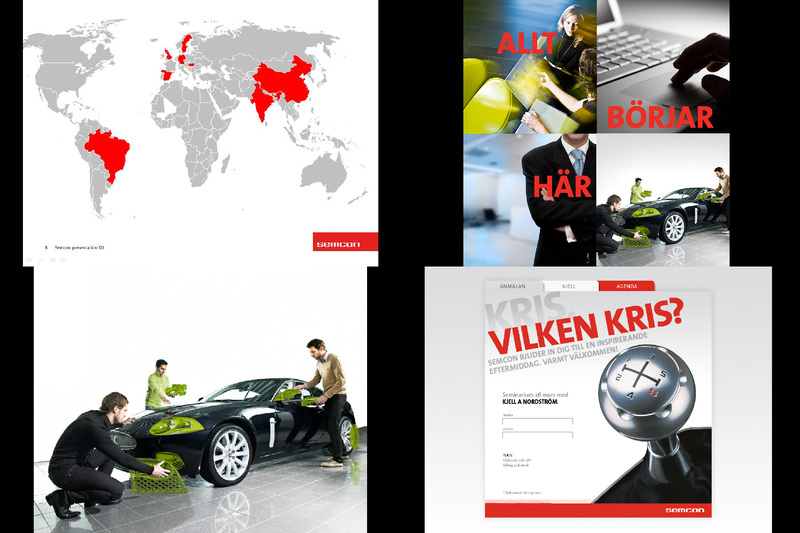 We updated and redesigned all printed presentations and magazines. In cooperation with the conference & eventmanagers we consulted and produced brand experience concepts for more than eight years successfully. Content: Branding, Brand development, Campaign, Consulting, Copywriting, Concept, Conference, Congress, Design, Digiphysical productions, Displays, Entertainment, Eventdesign, Eventproduction, Graphics, Guerillamarketing, Incentives, Management, Magazine, Meetings, Multimedia, Photography, PR-show, Press meeting, Print, Expo & Display, Scenography, Staging, Technicalmanagement, Visuals.